Signage Masters is a full-service outdoor advertising company. Our design studio, custom sign manufacturing, and vehicle wrap experts bring over 30 years of combined experience in graphic design and project management, which we believe are two of the most important skills required to deliver the best sign possible from concept to installation. When you chose to work with Iconography for your graphics solution and signage needs, you can rest assured that your project will be managed expertly and professionally from beginning to end. Our customers include small business owners from the greater Johannesburg, Midrand, and Fourways areas, as well as larger regional and nationwide businesses. What they all have in common is a preference to work with a highly professional and creative company that consistently delivers top quality results. What do we mean by “full-service?” Listed below is our approach to ensuring all of our customers receive quality signs, creative design and excellent service…every time. Our first step is to understand the message that you are trying to convey. This includes meeting with you to hear the specifics of your situation, and also may include visiting your site location to analyze available options. These are critical steps that ensure we deliver signage or vehicle wraps that effectively deliver your message. Our team of professional artists, graphic designers and technicians bring together the important elements of creativity, legibility, and visibility to deliver a sign or vehicle wrap that provides maximum noticeability. Whether you have camera-ready art or simply an idea…on paper or not, we work with you to create signage that reflects your image, sends your message and ultimately brings you more business. There are many ways to produce any sign, display, or vehicle graphic, and the material options are almost limitless. Using our expertise, we customize a solution based on planned location, duration of use, budget, and local ordinances. The less “fun” aspect of any sign project. We work with your local municipal planning department to ensure both your design and signage meet city codes. We also facilitate the permitting process. Proper installation is key to achieving maximum longevity from your sign or vehicle wrap. We not only design and build, we complete the job by installing and putting it to work for you. 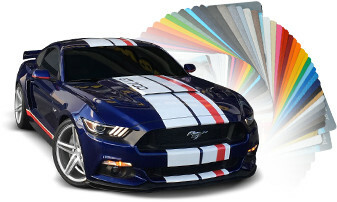 WHY CHOOSE A VEHICLE WRAP? Vehicle wrapping is an eye-catching and effective way to market your business. Wrapping your vehicle turns it into a mobile billboard, advertising your product or service every time you are on the road. Not only does a wrap look fantastic at passing traffic but it also looks good when you are meeting with clients or if you are parked outside a job. A high-quality wrap will never fail to set you apart from the competition. At Signage Masters we always design wraps and graphics with one aim – to generate you more business. If you want a quality vehicle wrap that stands out and comes at a sensible price – then you have come to the right place. WRAP DESIGN - IS IT IMPORTANT? Design is a very important factor in any wrap. A good design should be instantly recognisable, and should be used on everything from your letterheads to work wear, website to email…..everything that has your company name on it should match. Keep it simple. Simplicity is key to any good design. A well designed wrap should be simple and straight to the point, why over complicate your vehicle with unnecessary information? Remember you have approximately 3-5 seconds to capture viewers’ attention. That’s not to say that you can’t add ‘accreditation logos’ etc just don’t make them too over-powering. As a local business built on Reputation & Quality we want to produce the best wrap or graphics for you. We don’t do cheap, we only do value. We produce the best graphics Gauteng at the most affordable prices. We won’t sell you something that isn’t right for you or your business. Blackpool Signs and Graphics are experts in the design process and can create your perfect logo or brand. We want to create you a wrap to be proud of. We have over 32 years combined experience in the vinyl graphics and design industry. HOW IS A VEHICLE WRAP PRODUCED? We only use the finest wrap vinyls and solvent inks on the market. Don’t confuse our wraps with some of the low quality ones that you see on the market. So now that we’ve designed you a striking artwork with a very clear and concise message we now have to produce the wrap for your vehicle. Our graphics are printed using the latest solvent printing technology. Solvent printers use solvent chemicals in the ink (a little like paint) which bond to the surface of the vinyl once dried. Our printer is the best on the market, which prints at 1440dpi. We can print detail as small as the eye can see. Once printed we allow the vinyl to ‘Outgas’ for up to 48 hours. This lets the solvent ink settle and the gasses disperse. Now its time to laminate. Every wrap we produce is laminated without question, this is the only way to produce a quality wrap. Lamination finishes the print with a high gloss (paint like) finish. The laminate protects the printed vinyl from bleaching and discolouration from the suns UV rays. The lamination process also stops abrasion from chemicals and protects the print from scratches. Next is a deep clean. Each vehicle is cleaned to remove dirt, grime, wax, silicon, grease etc. Each vehicle is hand washed at least twice over before it is brought into our vehicle area. Once inside and undercover we clean all recesses, door gaps, fuel caps with methylated spirits at least twice over removing any residue, build up of dirt, grease, wax etc. Next stage is the final deep clean stage. We again go around the whole vehicle including wheel arches, door sills, using isopropyl alcohol. Each wrap is installed by qualified wrap technicians. Each wrap is installed by hand as is a very time consuming and labour intensive process. We start every wrap by evaluating the vehicle and deciding the best way to install the wrap. At this point we decide which parts of the vehicle to remove before we start the wrap. This normally includes items like side trim, aerials, door mirrors, badges etc. Now the vehicle is ready to have the graphics applied. Each vehicle is wrapped by a team of expert fitters. We fit the vinyl by moulding, heating, stretching and shrinking the vinyl to fit the vehicle. Once the vinyl has been put down onto the vehicle it is then trimmed by hand and folded neatly around corner and door gaps. If the vinyl has been wrapped into a deep recess it is then super heated to set the memory of the vinyl. This stops the vinyl popping out at a later date. How long does the wrap process take? This depends on the size of the vehicle. Generally the larger the vehicle the longer it takes to wrap. A smart car generally takes a x2 man team 1 day to install. Larger vehicle like a double decker bus normally take around a week to install. Signage Masters design, manufacture and install all types of vehicle graphics and wraps to any budget. Our most basic of sign writing starts from as little as R2500. Sign writing is a very cost effective way of advertising your business. All our expert fitters have many years of experience in applying graphics to vehicles and we pride ourselves on being the best one stop graphics shop in the area. We also produce graphics for cars, motorcycles, boats, buses, coach…..anything that moves we can add graphics to it…..
Sign writing your vehicle is a very cost effect way of marketing your business. Your vehicle is a mobile billboard promoting your business wherever you go. The more you spend on the vehicle the better we can make it look and the greater impact it will have on your audience. Having your vehicle sign written is a one off payment – unlike advertising in a magazine or newspaper. Professionally applied your design will last for years and years to come. The Vehicle Wrap Experts at Signage Masters have the resources and experience to efficiently manage all of your fleet graphics needs from concept and design to installation, on a local, regional and national level. This includes everything from simple decals and door placards to partial vehicle wraps and full wraps.